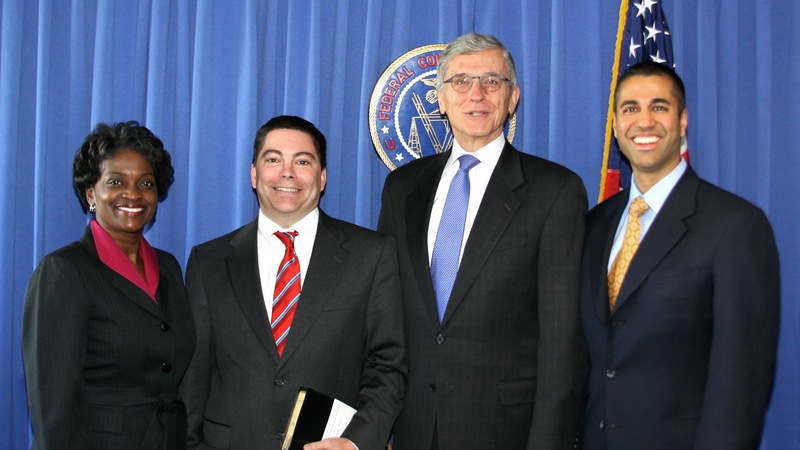 Federal Communications Commission Chairman Ajit Pai announced today the next big front in the ongoing debate over the future of the internet in the US. Making his remarks in Washington, D.C., Pai detailed plans to remove regulations enacted in 2015&apos;s Open Internet order, designed to "protect and maintain open, uninhibited access to legal online content." The 2015 order invokes a Title II common carrier classification for internet service providers (ISPs), which makes it illegal for them to throttle, block, or otherwise discriminate any kind of internet traffic from its users — a major component of net neutrality. Pai, a committed voter against net-neutral regulation, claims continued Title II restrictions on ISPs "gives the FCC a roving mandate to micromanage the internet" and "would reduce investment in broadband infrastructure." The full text of the chairman&apos;s plan to replace the Title II legislation will release to the public tomorrow, allowing Americans to look over the proposed actions before the FCC votes on them on May 18. Pai&apos;s goal is rather simple: to revert the Title II status given to ISPs from 2015&apos;s order to its previous state, returning to what he calls the "light-touch regulatory framework" originally set in place over 20 years ago by President Bill Clinton following the Telecommunications Act of 1996. 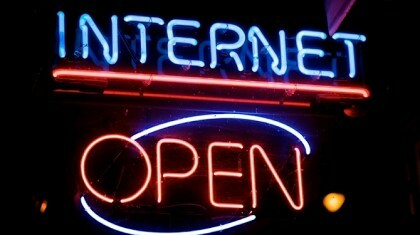 "Under this framework, a free and open internet flourished," said Pai. "Under this framework, America’s internet economy produced the world’s most successful online companies: Google, Facebook, and Netflix, just to name a few." However, the internet has changed a lot since the days of President Clinton, with many major companies and groups coming forward to advocate keeping the 2015 regulations, including Google, Facebook and Netflix, just to name a few. Though the heart of the upcoming Title II debate will mostly center around the classification of internet providers as a common carrier, the issue is inseparable from the debate of net neutrality as a whole. The topic of net neutrality is complex and easy to get tangled in like, well, a net. In essence, net neutrality is the idea that internet service — regardless of what is being accessed or who is accessing it — should not be restricted. Pai argues that qualms over net neutrality were unfounded leading up to the 2015 Title II vote. "For decades before 2015, we had a free and open internet," said Pai. "We were not living in some digital dystopia before the partisan imposition of a massive plan hatched in Washington saved all of us." Pai — as well as many ISPs — argue that pro-net neutrality regulations hinder the growth of internet companies and their networks, stifle competition, and ensure Americans get high-speed access even in rural areas. To that end, Pai said domestic broadband expenditures dropped 5.6% across the nation&apos;s top 12 ISPs between 2014 and 2016, attributing the loss to Title II restrictions. However, many supporters of net neutrality argue that removing regulations only serves to help internet companies, with a 2016 report claiming the US broadband market actually grew in the year following the Title II vote, with Verizon in particular expanding its networks to accommodate the upcoming 5G standard at the time of writing. Many supporters for net neutrality also argue that it&apos;s essential for keeping the competitive field even for businesses new and old, with a group of over 800 startups, investors and internet entrepreneurs asking the FCC chairman to reconsider his upcoming proposal in a recent letter. Over 170 advocacy and civil right groups, including the ACLU and National Economic & Social Rights Initiative, state that net neutrality is also essential for equality in the country, saying it allows "all people in the US to access essential healthcare services, educational resources and employment opportunities." Following the 2015 Title II vote, internet service providers have found themselves in an intriguing position where many Americans consider internet access to be a right, especially as the technology continues to play a major role in the nation&apos;s job market, education system and political sphere. Be you in favor of tearing down government oversight or in support of net-neutral policies, we urge you to keep a close eye on what comes out tomorrow because if you&apos;re reading this in the US, the outcome of May&apos;s decision could have a major impact on you. 5G is coming soon, but what can it do for businesses?